twitter + literature = ? 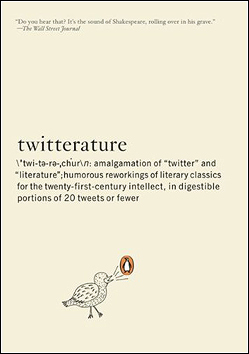 You may doubt the purity of its abridgments, but “Twitterature” is undeniably pithy. My only complaint is that I didn’t think of it first.